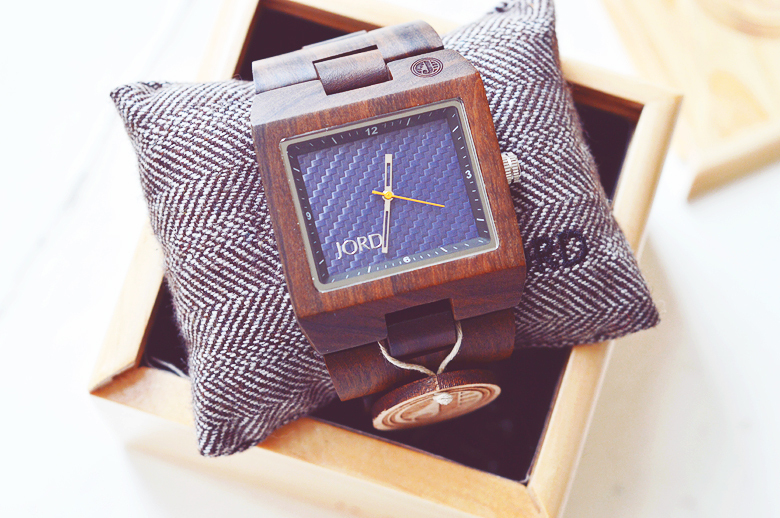 Just about everyone has reviewed a Jord wooden watch, I know. But it's with good reason because they're beautiful. 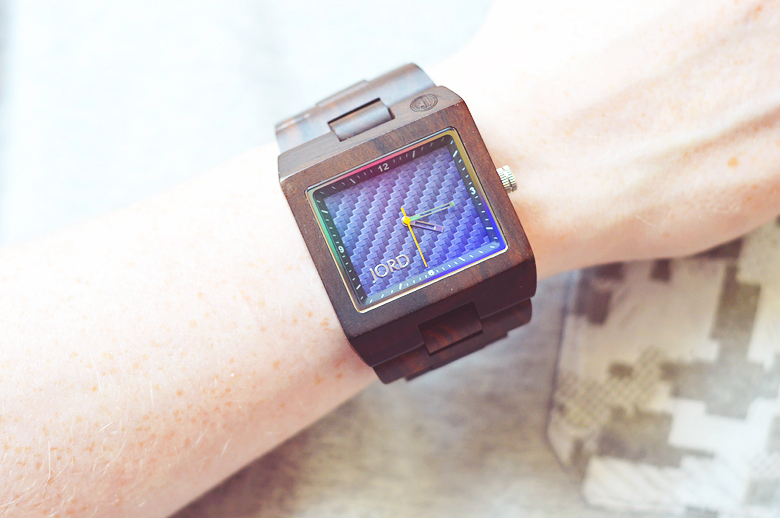 When I was offered the opportunity a few months ago I very nearly said no, the first blogger ever I'm sure, but watches just aren't my thing, my wrists are so slim that bracelets and watches just fall right off or look clunky and out of place. Just before I was about to respond to politely decline I wondered if they would send me a watch from their range for men for Michael to model and review instead. The lovely people at Jord said yes and Mikey was pretty damn excited. He secretly loves watches, I bought him a cheap nice looking one at Christmas and he wore it so much that the strap snapped and he's been wanting another ever since. After MANY hours browsing, measuring and almost deciding but changing his mind at the last minute 8 million times he settled on the Delmar watch in dark sandalwood and blue carbon. I thought this looked way too big as he has skinny wrists like me but size matters to guys... or something. We loved the detail of presentation when opening the (speedily delivered) watch. 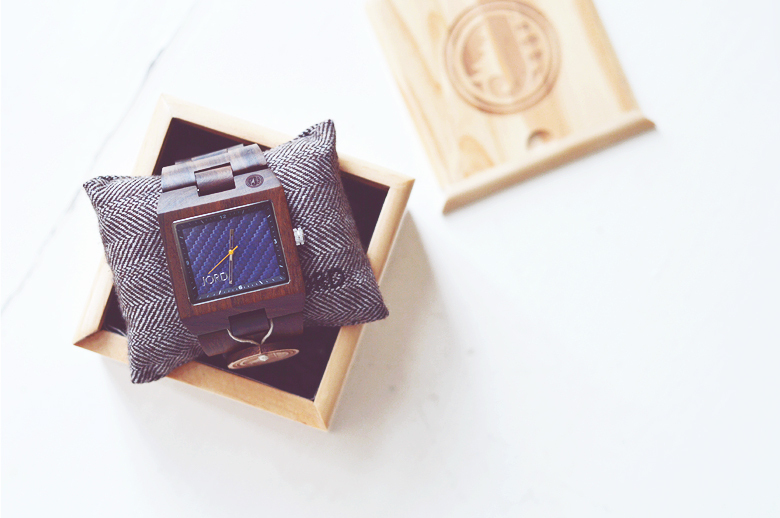 A wooden box with sliding lid and cushioned inside, wrapped around an actual cushion, was the beautiful wooden watch. 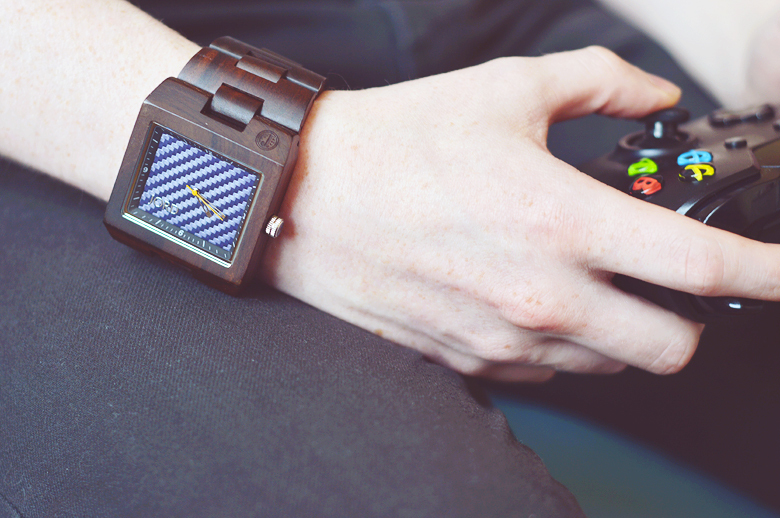 The watch feels both incredibly sturdy and light at the same time. And my fears of it being too big and bulky were totally unnecessary as it looks great. Michael has worn it every day since and has had a tonne of compliments and people asking where his watch is from. 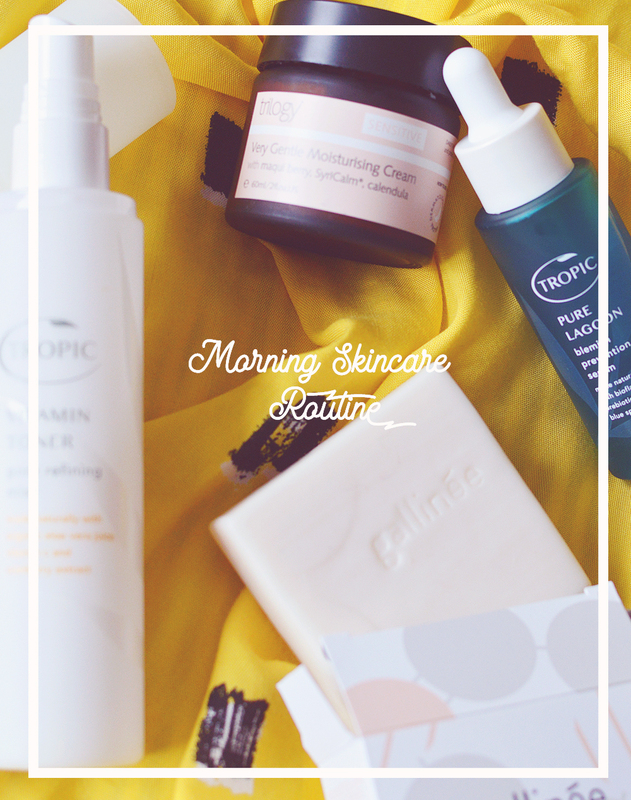 It's been nice to give him something as a thank you for all the help he's given me with blogging over the years (even if he is a pushy photographer and has no opinion on skincare... he doesn't even wash his face! ).